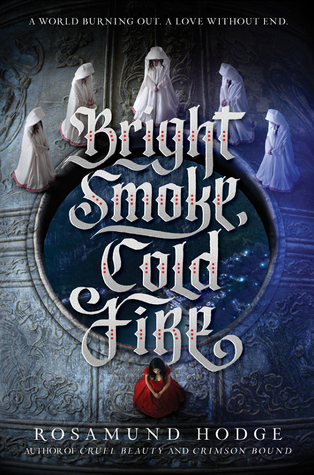 I’ll freely admit that I wasn’t sure how I was going to feel about Bright Smoke, Cold Fire when I decided to read it last month. Why? Well, I’ve read Cruel Beauty and simply found it okay. I skipped Crimson Bound because Alyssa told me about it and I decided it wasn’t for me. Also, I had seen a couple of reviews on Goodreads for this novel, which made me even more uncertain about it. So, even though I was really excited at the prospect of reading a story that draws inspiration from Romeo and Juliet (my personal Shakespeare fave, simply because it was my first), I was still wary. In Bright Smoke, Cold Fire, Mahyanai Romeo and Juliet Catresou have the fate of falling in love, defying their families and bearing nothing but sorrow because of their choices. But this novel also is about more than just these two star-crossed lovers. It’s about Viyara, a walled city on the brink of destruction because of the Ruining, a mysterious fog that kills the living and raises the dead. It’s about Paris Catresou’s desire to prove his worth to his family, to discover what he wants for himself and to right the wrongs he discovers in the city’s underbelly. It’s about Mahyanai Runajo’s belief that the city is in mortal peril, and her determination to save it no matter what the cost might be. It is about secrets and magic, death and justice, and how the fate of one city and all that dwell in it rests in the hands of these four characters. I’m honestly quite surprised by how much I enjoyed Bright Smoke, Cold Fire. Perhaps this is, in part, due to my low expectations going into it, but I’d like to think it is because Hodge managed to impress me with her spin on Romeo & Juliet. I was honestly swept up in the story straight away, eagerly pinpointing the similarities to the Shakespeare play (and to Sabriel, which is another one of this book’s comp titles). Admittedly, the characters were definitely underdeveloped, and I could have used just the tiniest bit more detail when it came to the world itself. But the plot kept me turning the pages, and pretty eager to learn what was coming next for our heroes and heroines. I didn’t realize this was going to be a series until I was two thirds of the way through this novel, which was slightly irksome. However, it’s definitely not enough to prevent me from wanting to pick it up and find out how it all ends – and that’s a really good sign. I’m pleased I liked Bright Smoke, Cold Fire more than I thought I would. Though I don’t think it will be everyone’s cup of tea (it's very weird), I personally found it a page-turner and look forward to seeing what happens next.